How loud is the noise? Whether sound or noise is considered (too) loud or not is often subjective. 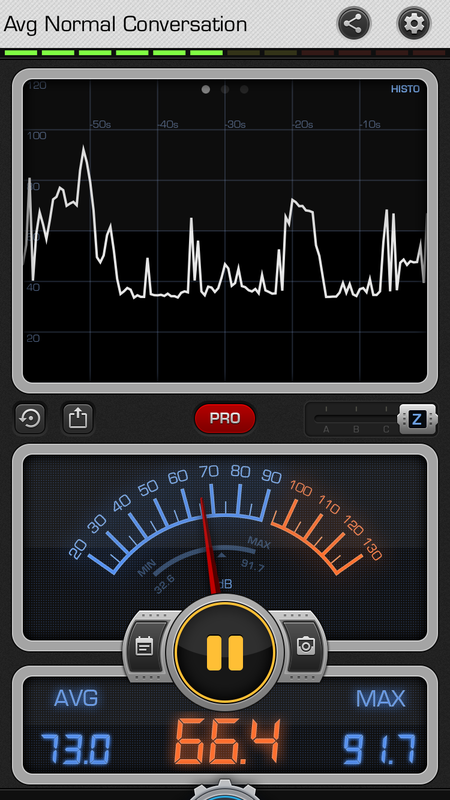 The App Decibel enables one to measure the noise level and make it objective. It is a sensor that shows the results in three different ways: digital, analogue and in a graphical. 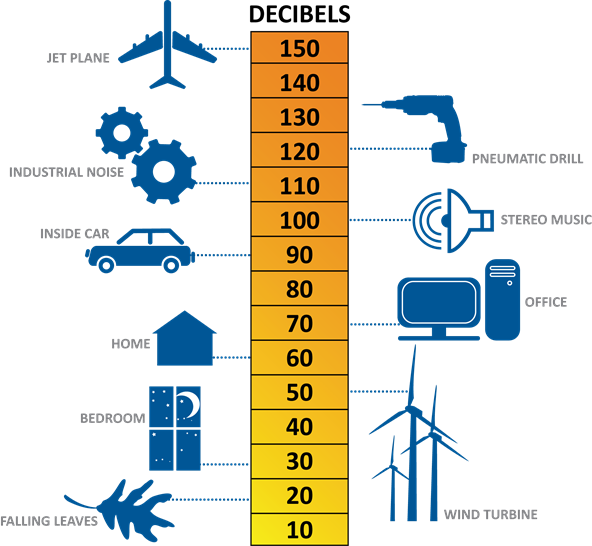 There are many Decibel Apps but some show the results of the measurement only anlogue, and some analogue + digital but not graphical. When using this App in class students should be aware of how they measure, what to pay attention to so that results can be compared. Factors influencing the measurement could be: the distance to the source, the direction of the sensor/phone, pitch of the sound, background noise etc. Combining the use of the App with the screenprint function of the device makes it possible to record, store and present the measurements at a later stage. Students could plot their own measured sounds on a scale: unplugged musical instruments, birds, voices, traffic etc. There are plenty charts on the internet that show which levels are dangerous and damaging. 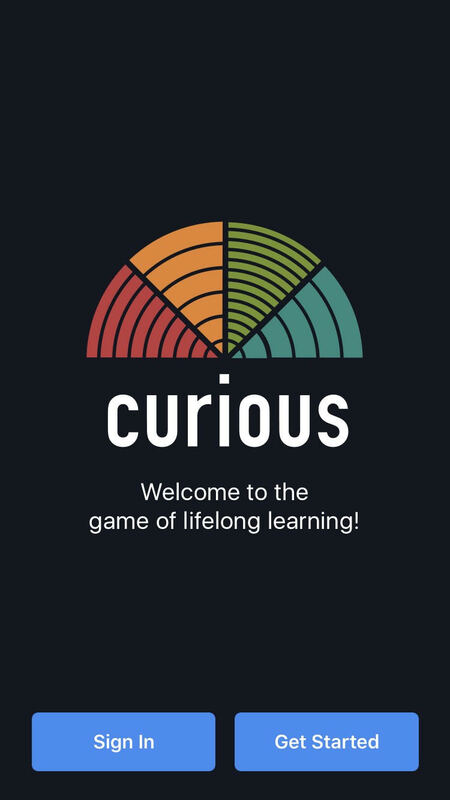 The Curious App combines life-long learning with personalised learning. Thus aiming at adults. You get a daily learning workout with facts and information presented through texts, videos, pictures, stories etc. Before you start, your profile is created based on what interests you, on what you wish to learn and on how much time you wish to spend daily. You can try out the App 7 days for free, thereafter you have to pay. This gives you a good idea about what to expect when you buy the App for use during a longer period. It is claimed that with the daily workouts, you grow your CQ, Curiosity Quotient. Curious is supported by Prof. Carol Dweck known for research on the importance of a Growth Mindset for success in learning. The Curious App reminded me of the Who, What, Why books I read as a child. Facts and information on whatever topic you can think of. The Museum of Modern Art in New York has several Apps. We present two of them: the Art Lab and the MoMA App. The MoMA website is also worth visiting but less intuitive if you wish to navigate through collections or artists than the MoMA App. The Art Lab App gives pupils a drawing platform where they can experiment with techniques related to trends in art, or artists. 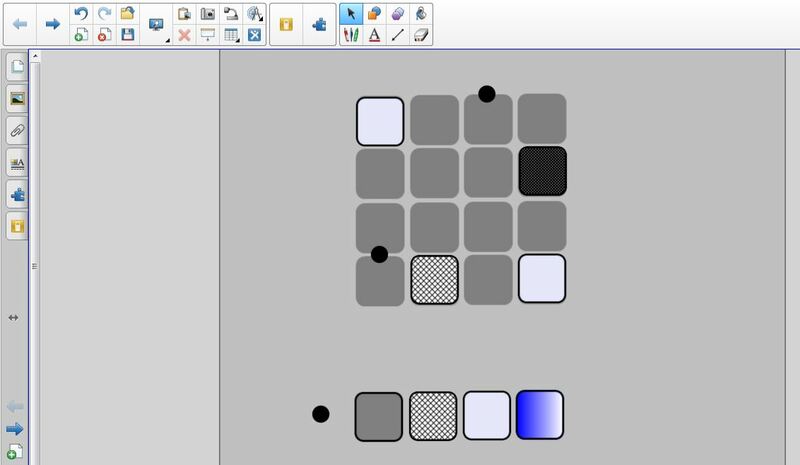 The limitations are a clever way of instruction when making art. The feeling remains that the same tasks will be much more interesting, practical, manual, and creative when performed with the actual materials instead of on a touchscreen. The Art Lab could be used as an introduction to the actual hands-on, dirty work. 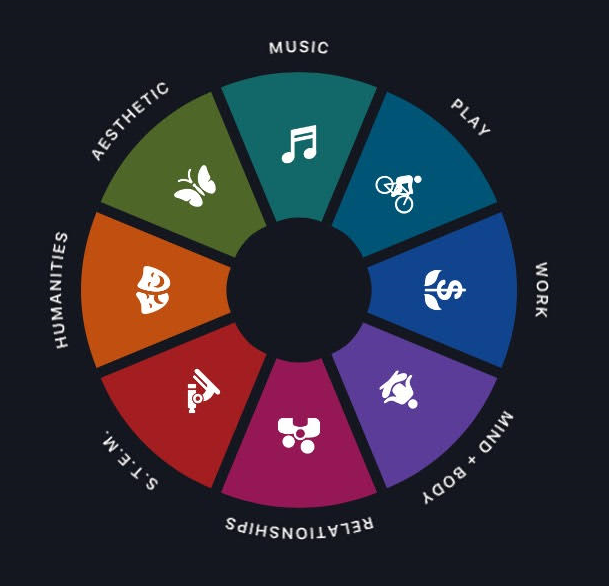 The MoMA App provides Collections and Artists and a special Kids section with audio. The kids collection is an interesting selection of works of art which should provoke reactions and emotions with children. The audio clips lead you through the works of art and pose some questions. Yet, it would be much more interesting and instructive to wait with the audio clips and first let the kids observe, react and discuss what they see. Below some examples of the paintings from the MoMA App. You could show them on a SmartBoard and discuss in class. Long Divison Touch is a well programmed App. This is really an App that makes use of touch technology. 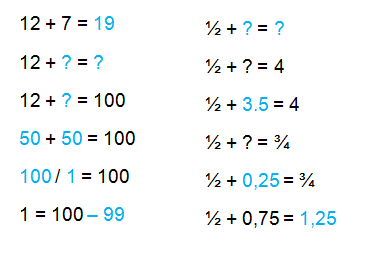 The instruction for different tasks is very clear, for example division with remainder, division with decimal, division with decimal in divisor etc. Should we spend time on teaching the long division in school? Who does need this procedure in the 21st Century? Do you as an adult ever use the long division procedure anywhere else than in school? Are there any skills in learning the procedure that are important later? Division as a numeracy skill remains important, and definitely the ability to estimate whether the outcome to for example 125 : 4,5 = … is a little less than 3, than 30, or than 300. A step forward could be to do the mathematical thinking, such as estimation, in class, and to use the App to challenge high-performers. It could also be a tool in Flipping-the-classroom. Note: The format in which the long division is presented does match the way it is taught in schools in some countries, but in many countries the format used is different. It would be difficult to cater for all the different formats that are being used. The Germany, France, Norway all use a different formats. For students who already master the long dvision procedure it will be rather easy to figure out how this formats works. Note: The App uses decimal comma, which may be an obstacle for countries where people work with decimal point. Note: Students do not train multiplication and subtraction skills required in the ordinary long division. Lazors is an interesting App about principles in physics such as light beams and how they are reflected, bent, or broken by different materials. As a player you have discover for yourself what the aim is and how to reach it. There are many different levels. Students can be asked to explain the game and about their reasoning in solving the problems. Thereby, the teacher can introduce vocabulary like: light wave, straight line, ray, beam, reflection of light, refraction of light (bending of light), breaking light, prism, angle of refraction, angle of reflection, mirror, glass, crystal. A pre-designed page on Smart Notebook can help to discuss the principles and reasoning. Stick a straw in a half filled glass of water and observe the refraction of light. This visual distortion occurs at the water-air boundary. The same phenomenon protects fish from a hunter who is spearfishing from the shore. Due to this bending of the path of light, a fish appears to be at a location where it isn’t. The hunter launches the spear at the location where the fish is thought to be, but isn’t, and misses the fish. How big needs a mirror be for you to be able to see yourself from top to toe (while standing)? The game can be used from age 10 onwards. MyScript Calculator is one in a series of Apps: MyScript Smart Note for taking notes and MyScript MathPad for writing complex mathematical expressions and equations. MyScript Calculator turns handwriting into mathematical operations. That means it captures your handwriting and performs the operation. The program works well, however it does not always react the way you expect. It can be very challenging to let your students find out what the rules behind the program are. For teachers it can be useful to use MyScript MathPad to write expressions and export them to LaTex or MathML and then copy them into for example MS-Word documents. MyScript Calculator can be used as soon as students master a few mathematical operations. I would suggest from grade 4 onwards. It is a big advantage that one can use handwriting instead of a keyboard. The program gives immediate feedback on your handwriting and reacts very fast. The program should of course not replace the math exercise book, but can be used every now and then. If learning occurs depends, as usual, on the teacher and on the type of questions, tasks and guidance he/she provides. “Students learn a lot more if they have to work together on one iPad. This way they have to communicate about what they expect and about what happens. How can you perform divisions? What happens when you use exclamation mark after a number? 2! , 3! , 4! etc. How can you work with percentages? The possibilities are endless for those who are creative. Watch MyScript Calculator’s Tutorial or some video’s on YouTube.